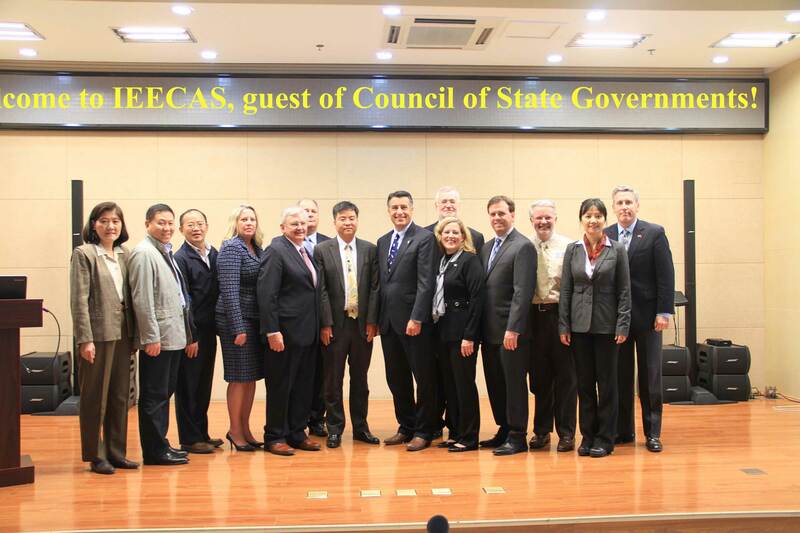 On October 21, 2015, the delegation of Council of State Governments of U.S. visited the Institute of Earth Environment, Chinese Academy of Sciences (IEECAS). The 18 delegates include Nevada Governor Brian Sandoval, Idaho State Senator Bart Davis, Alaska State Senator Gary Stevens, Minnesota State Rep. Patrick Garofolo, Kansas State Senator Vickie Schmidt, Delaware State Rep. Helene Keeley, etc. Party Secretary Junji Cao, on behalf of IEECAS, expressed a warm welcome to the guests. Then he gave an introduction on the institute and a brief review on the collaboration between IEECAS and Desert Research Institute (DRI) in the past 20 years. 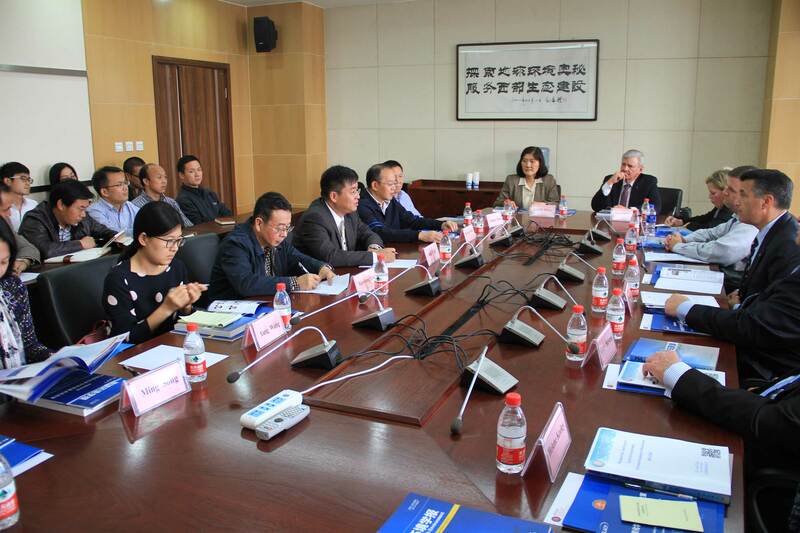 After the welcome speech, the delegation visited 4 laboratories in the institute - Xi'an accelerator mass spectrometry center, continental core library, tree ring laboratory, key laboratory of aerosol chemistry and physics. In the end the delegation had a round-table discussion with the researchers in labs. During the visiting, delegates showed a strong interest in the collaboration in fundamental research and technology application between two countries. They were also impressed by the progress and achievements that we made in climate and environmental change research field. Mr. Sandoval was very pleased to learn that the IEE has been working with the DRI since 1997 and two institutes have signed a memorandum of collaboration. He also expressed the hope that the bilateral collaboration can be strengthened and a further cooperation between Nevada State and Shaanxi Province can be promoted in the future. In summary, this visit has a profound meaning for the Council of State Governments of U.S. to understand the research situation in China.